On Scene: On Location at FDIC--Are you here? On Location at FDIC--Are you here? Happy Friday, TheFireStore fans! We are on location at FDIC International at the Indiana Convention Center, and we'd love to see you. TheFireStore is set up at booth 106 and we are bringing you great deals on awesome products that you can't afford to miss out on. If you're around and want to come shop some of the best exhibits in the fire industry, come on down! Fri, Apr 24. . .10:00 a.m. - 5:00 p.m. Sat, Apr 25 . . .9:00 a.m. - 2:00 p.m.
Our big booth can't be missed. We've also got a smaller one right across from our main booth that features Oakley and Under Armour so you can get a closer look on some of the top selling products from name brands you know and trust. Can't make the show this year? We understand. 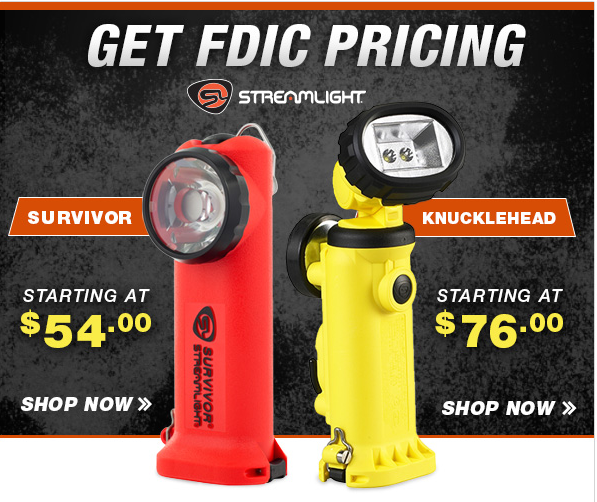 We're still bringing you a great deal over on our website so you can snag a great flashlight or two for a steal. We hope to see you in the next day or two, but if we can't, there's always next year, right?